Vegetarian dog foods have been gaining popularity among people who are vegetarians themselves. As a Pit Bull owner and an expert in writing about dog health topics, I want to provide some insight into vegetarian dog food. Many dog owners are unaware that canines are omnivorous which means they can survive on meat and veggies just like us. This means dogs can survive on a vegetarian dog food if it contains certain nutrients like Vitamin D3 which comes from a meat source. When buying a vegetarian dog food and feeding only that food, it becomes crucial to pick the appropriate food for the dogs age and size. If you just pick any food, it can seriously malnutrition your dog. If you are a true vegetarian and want your dog to be a vegetarian as well, it is your responsibility to educate yourself on canine nutritional requirements first. Sometimes you can get an allergy prone dog who is allergic to everything you feed, in this case your veterinarian may suggest a vegetarian dog food. Unlike humans, dogs cannot make Vitamin D3 through their skin so the only other sources are through supplements or a meat based diet. In a veggie diet, your dog can also lack suitable amounts of protein in their diet. Lack of protein will affect a puppy’s growth and can lead to poor health. Meat sources also provide Taurine, low Taurine amounts can weaken a dogs heart and its pumping ability. Your dog can also lack many of the B-Vitamins on a veggie diet causing problems like lethargy and mood problems. These are also great reasons why you shouldn’t feed vegetarian dog foods to dogs that you plan to breed. But I heard vegetables are good for my Dogs.. 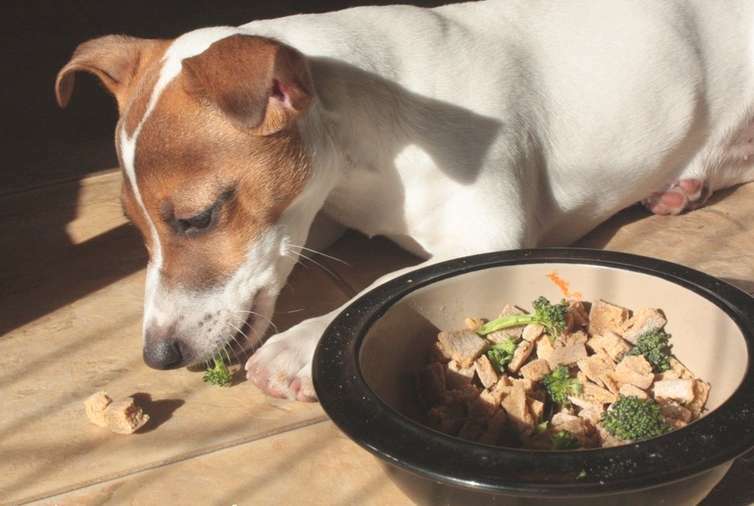 Yes, veggies are certainly great for your dogs but only in certain portions. Your dog should have a balanced diet and 15% should be veggies and fruits. I feed my American Pit Bull Terrier many types of veggies including carrots, cucumber, tomatoes and even lettuce. She gets a raw meat snack every week and I put her on a regular commercial food as her main meal. She has been thriving on her diet for many years now without any health problems. She has great activity levels and a smooth coat that she always gets compliments on. If you are still keen on feeding your dog a vegetarian meal here are some of my commercial recommendations. I could never voluntarily switch my dog to a vegetarian diet due to the above facts and more. I would only consider it if my dog is allergy prone and I had no other choice. 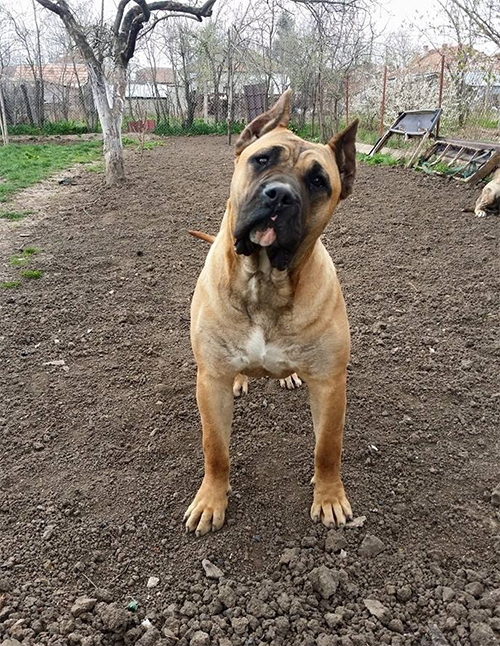 I feel a vegetarian diet strips away their lively hood, there is nothing like seeing a dog’s happy face when they are offered a piece of meat. Dog’s have been eating meat for ages and forcing them to be vegetarian, I feel is unethical. I also feel a meat based dog food is better than supplements added to many commercial veggie dog foods. Raw Dog Food Diet, Would You Give Your Dog Raw Meats?